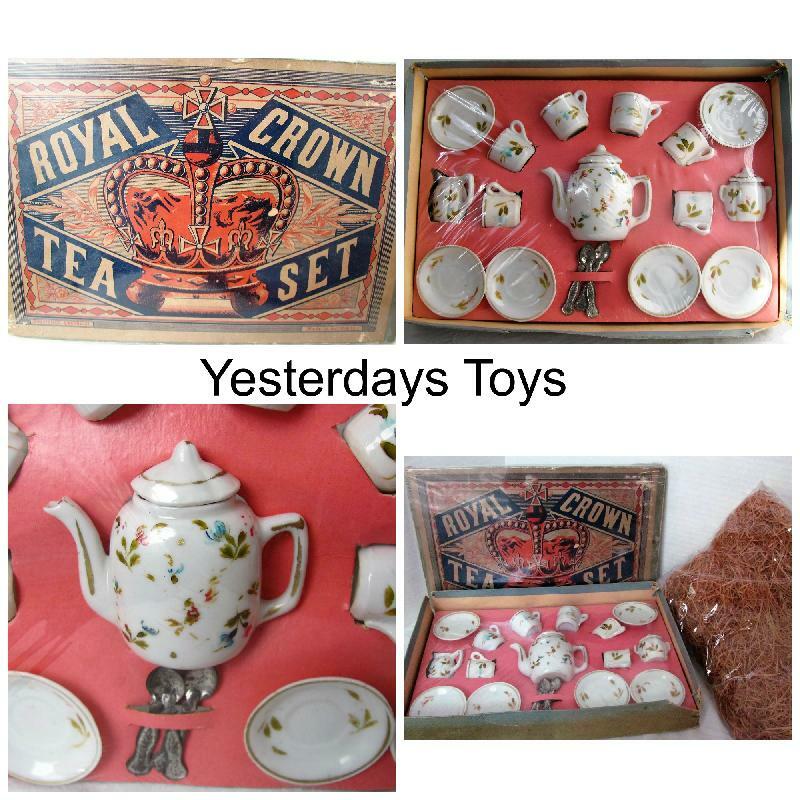 Antique German miniature tea set for 6, ROYAL CROWN was made by Gerbruder Heubach, made in the early 20th century. I have narrowed down the time frame to between 1910 and 1915. 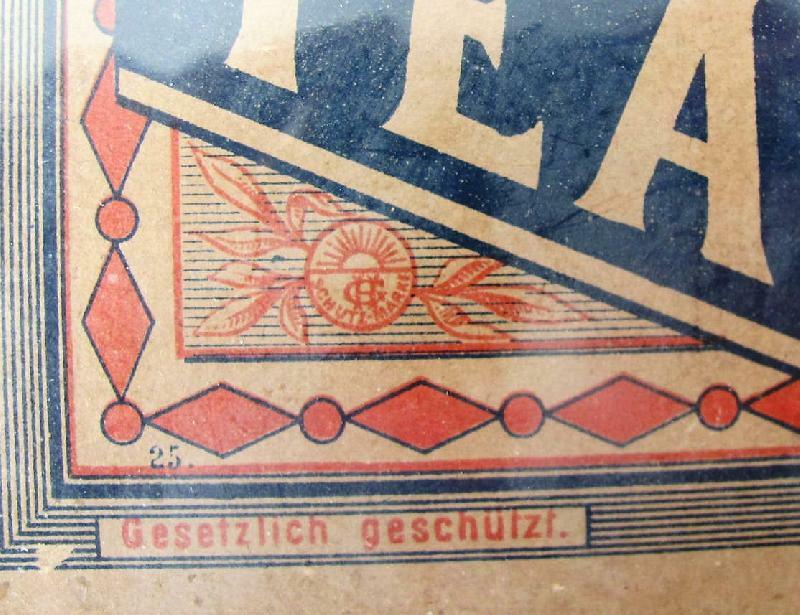 The box displays the Heubach rising sun emblem on the 2 lower corners. 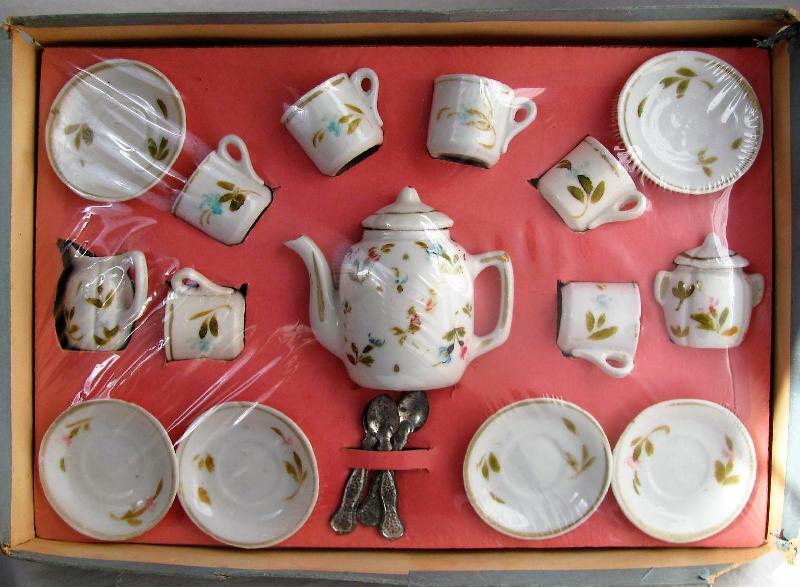 What a treasure to find a tea set in such great condition, sitting in it's ORIGINAL BOX AND EXCELSIOR. I have had this set for 13 years and immediately preserved the box as best I could. 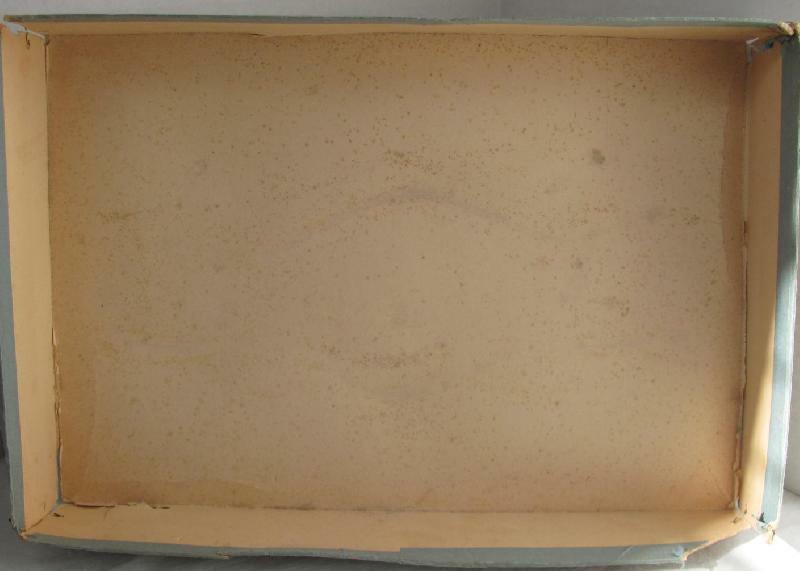 The top of the box is in very delicate condition, and has been shrink wrapped around a piece of styrofoam board to maintain its integrity. The colors of the illustration on the cover are still bright and lovely. 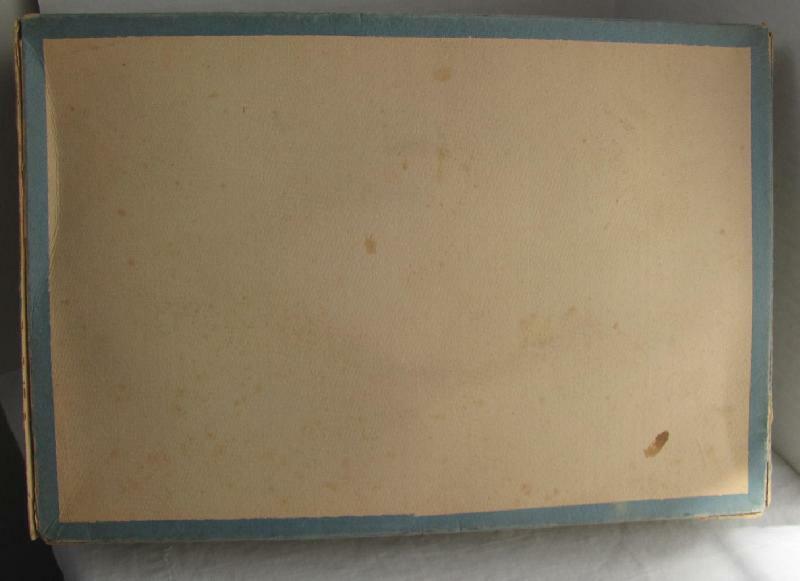 The bottom of the box is in better shape, although it also has condition issues. 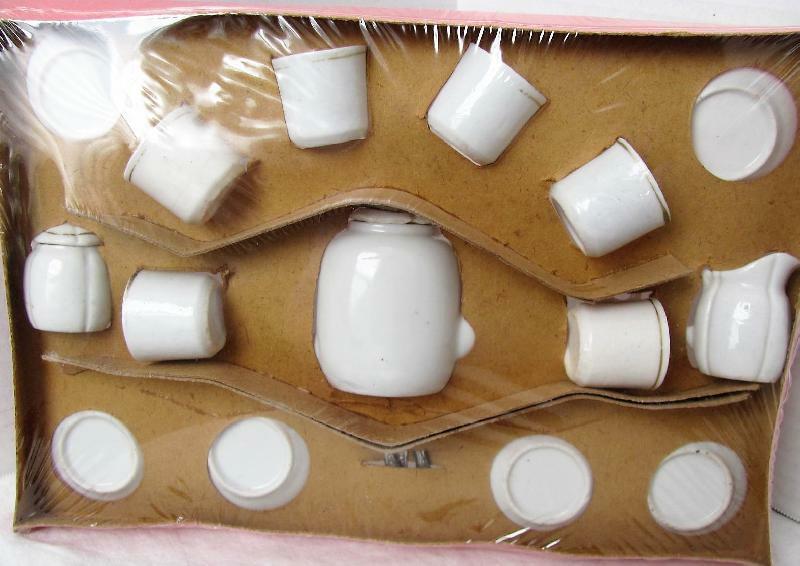 The sides are fastened together with metal 'staples'. One corner is missing these fasteners, and one corner is missing a piece of the cardboard, but that piece is loose in the box. The bottom of one panel has seperated from the bottom of the box. 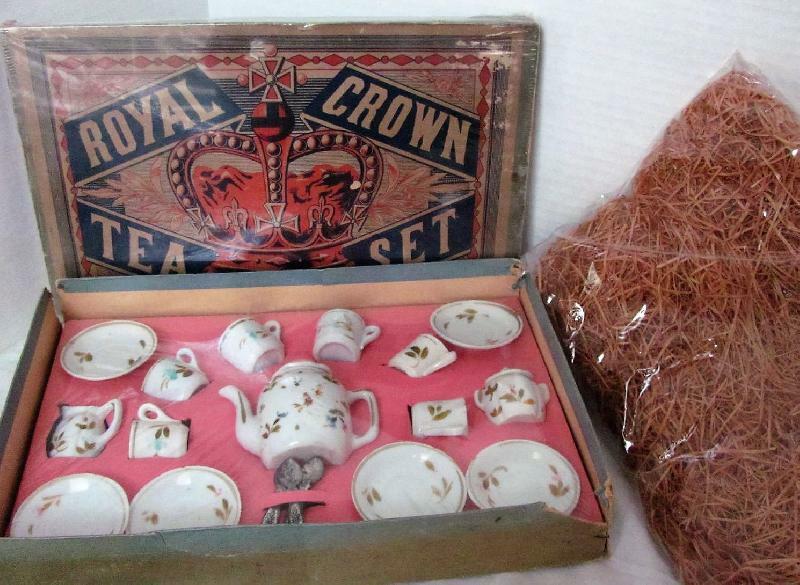 The original cardboard display that the set sits in is in excellent condition. It holds all the pieces tightly. 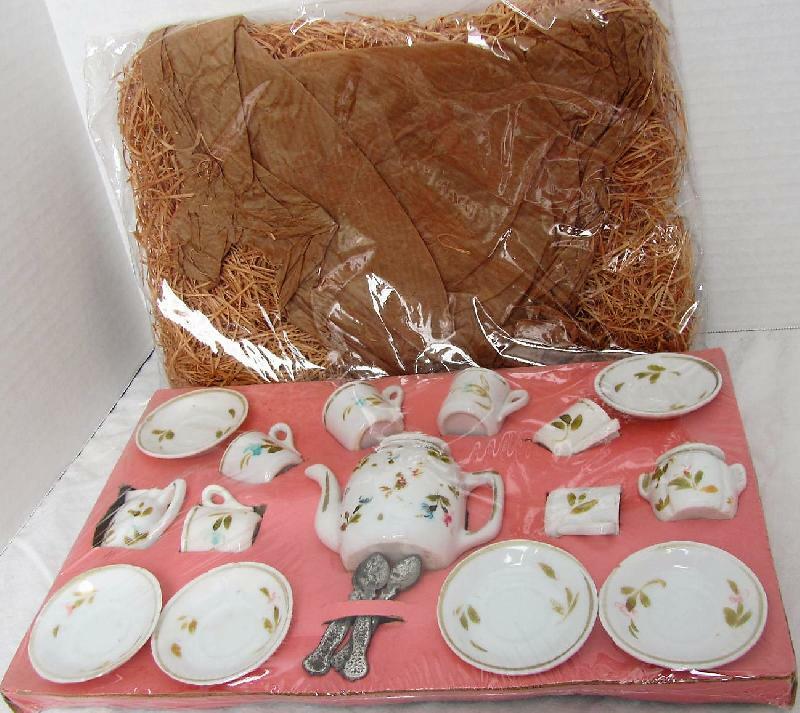 This also has been shrink wrapped to protect the tea set pieces. The design is very simple, but quite lovely. 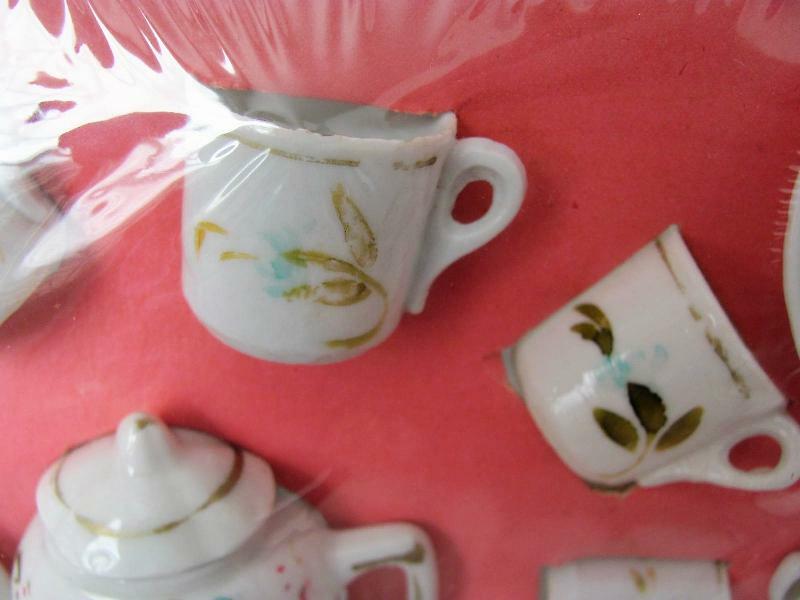 The quality of the porcelain is far from top notch. 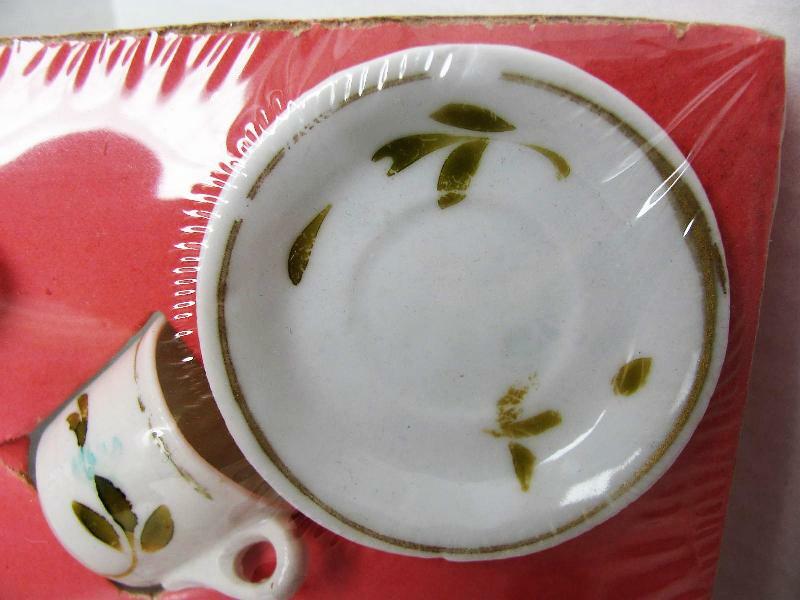 There are several flea bites and a couple of chips in the rims of the cups and saucers. 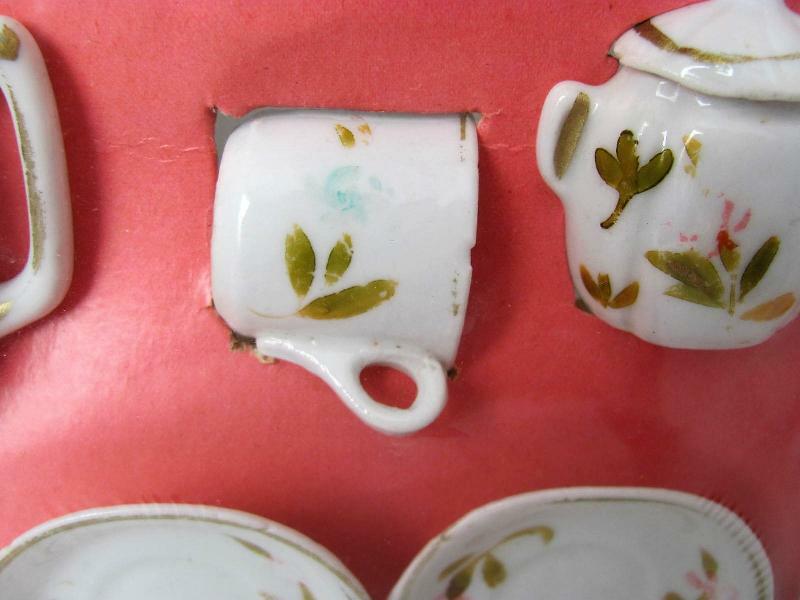 The porcelain pieces are all there; the set would be complete except there are only 3 spoons. 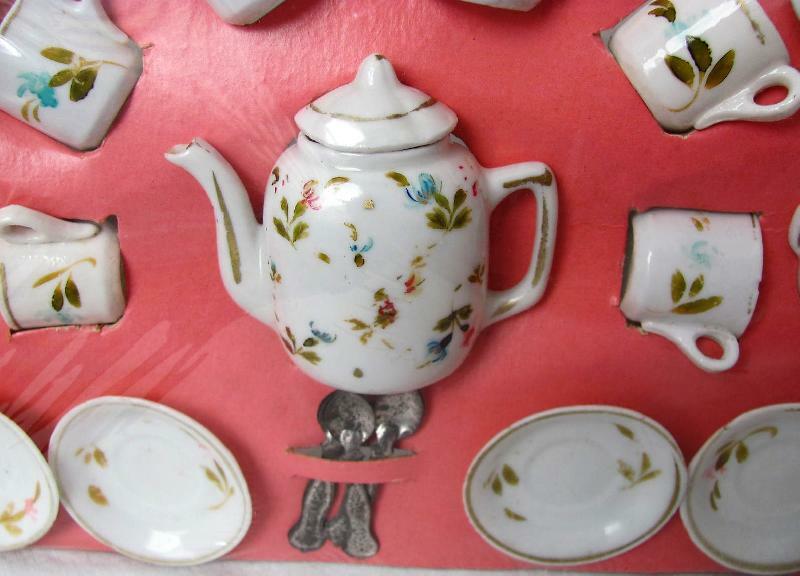 The tea pot is just over 3 inches tall, and the cups measure just over an inch tall, so they would be perfect to display with a 17 to 21 inch doll. ALL SALES ARE FINAL. Within the USA: I ship Priority Mail with insurance and tracking. I hold personal checks for 7 to 10 business days in order for them to clear my bank, before shipping any items. INTERNATIONAL BUYERS PLEASE NOTE: I ship Global Priority Mail. I list exact value on customs form. I accept US Dollars only in the form of a credit card (through Paypal), Bank Check, or US Postal money order only. (International buyers only; no personal checks accepted).